Prairie Public hosted the new PBS Kids Go! 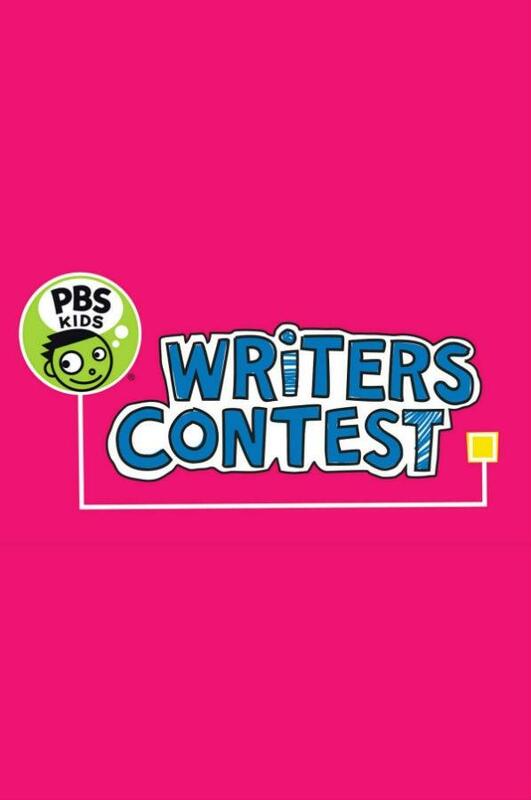 Writers Contest, formerly known as the Reading Rainbow Young Writers and Illustrators Contest. Prairie Public set up a Facebook page and began making friends. 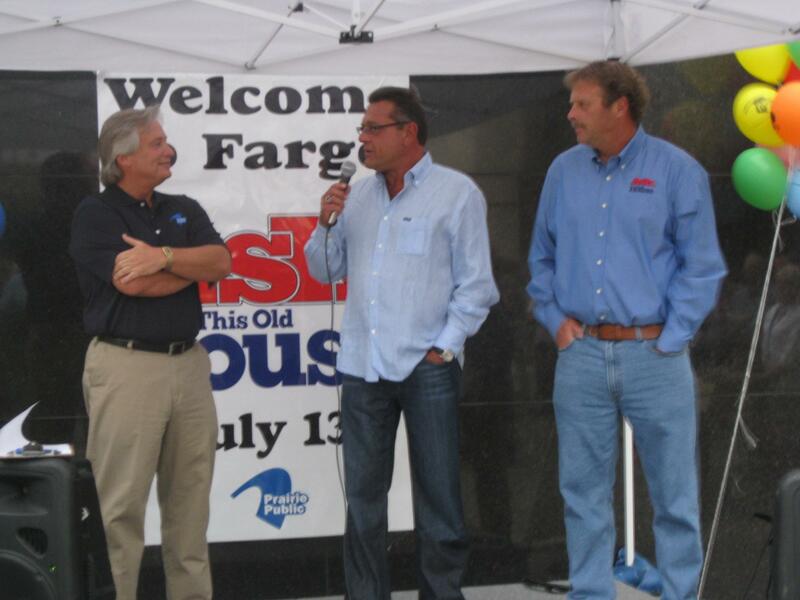 A camera crew from Ask This Old House spent time in Fargo filming a segment for the show. Prairie Public hosted a BBQ in front of the downtown studios. In August, the StoryCorps mobile recording booth spent four weeks in Fargo recording conversations that will be housed at the Library of Congress. Two Prairie Public documentaries were honored with 2010 Emmy Awards. A Considered View: The Photography of Wayne Gudmundson, produced by Bob Dambach and edited by Dave Geck, was named best cultural documentary. Homesteading, produced by Kim Stenehjem and edited by Heidi Nelson, was named best historical documentary. 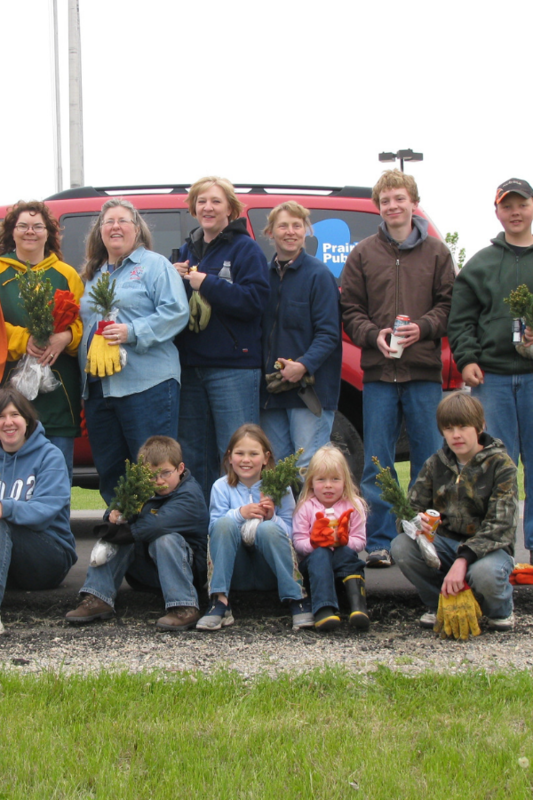 In September, radio celebrated 30 years of great broadcasting with a reception in the Bismarck studio, and a tree was planted to commemorate the beginning of the next 30 years. Prairie Public premiered the new television documentary Steamboats on the Red: A Story of Buccaneers and Robber Barons. Beginning November 1, Prairie Public television viewers have an additional viewing option. The second multicast channel began airing WORLD, which offers science, news, public affairs, and documentaries 24 hours a day. Midwest Archives conference, a regional professional archival organization, awarded Dakota Datebook its “Presidents Award.” This was the first time one of these awards had been given to an individual or organization in North Dakota. Prairie Public completed work on a tower near Williston, ND, to provide improved service and an additional music format. 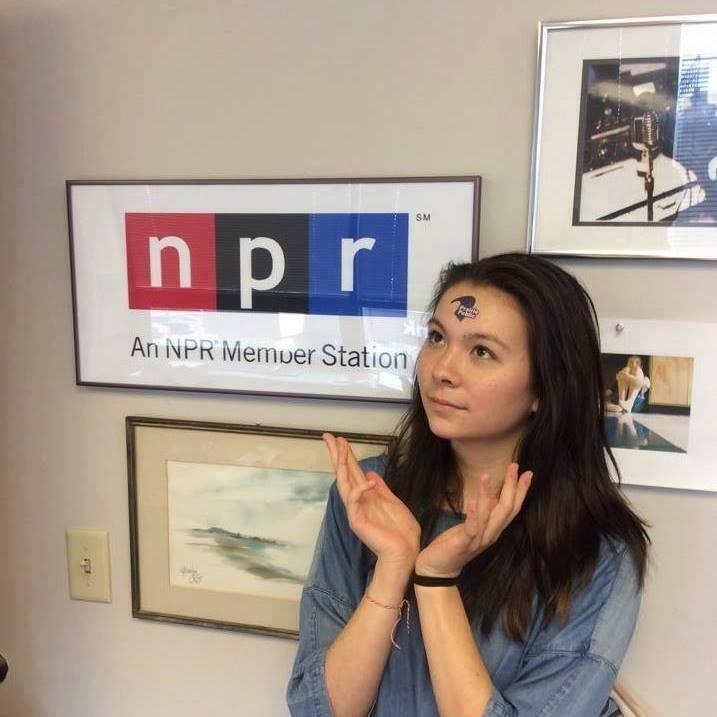 Listeners in that area can now hear a playlist of roots, rock, and jazz on 89.5fm as well as classical music on 88.7fm. Hear It Now host Merrill Piepkorn stepped away from the microphone to spend more time on stage with Dakota Air: The Radio Show. 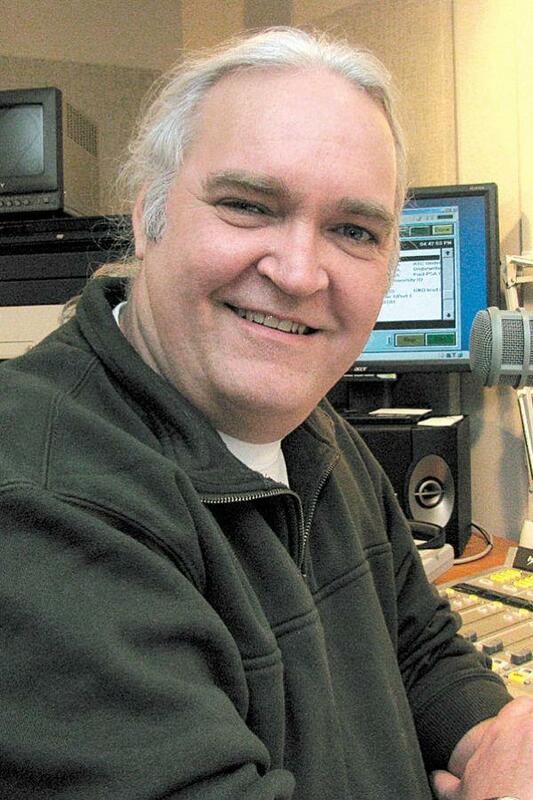 In November, Doug Hamilton took over as host of Hear It Now with Ashley Thornberg as special contributor. When They Were Kings: The NDSU-UND Rivalry premiered. Prairie Public hosts its first annual Mister Rogers Neighborhood Sweater Drive and collects thousands of sweaters to distribute to those in need. Prairie Public was honored with Emmy Award nominations for Steamboats on the Red, Faces of the Oil Patch, and Mother Nature In Charge: Devils Lake Life Stories. 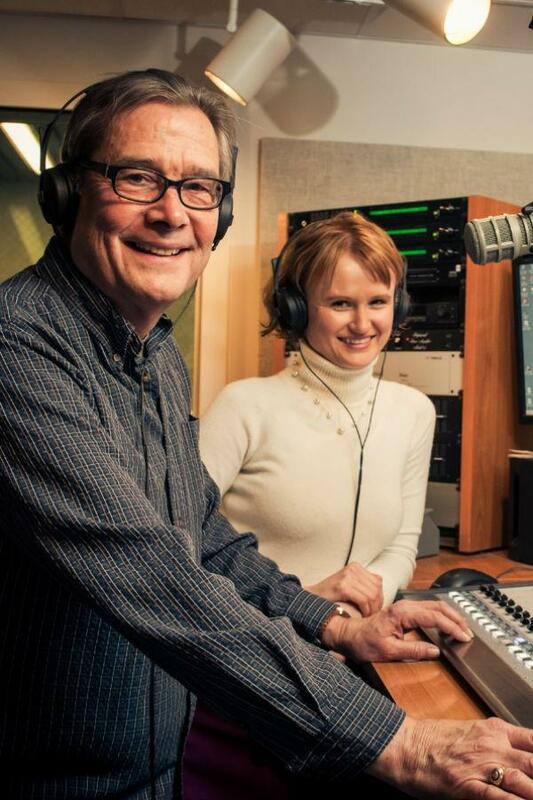 Hear It Now, radio’s weekday radio show with hosts Doug Hamilton and Ashley Thornberg, changed its name to Main Street. 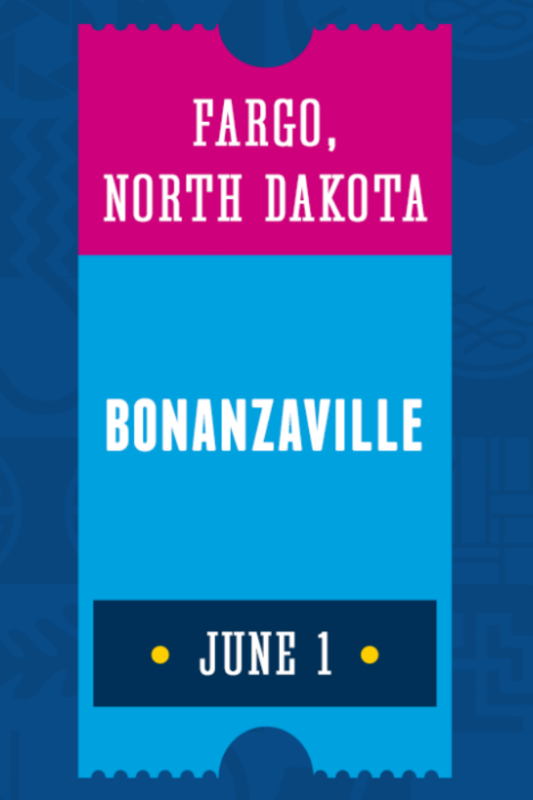 Bismarck, ND, was on the Antiques Roadshow 2014 summer tour. 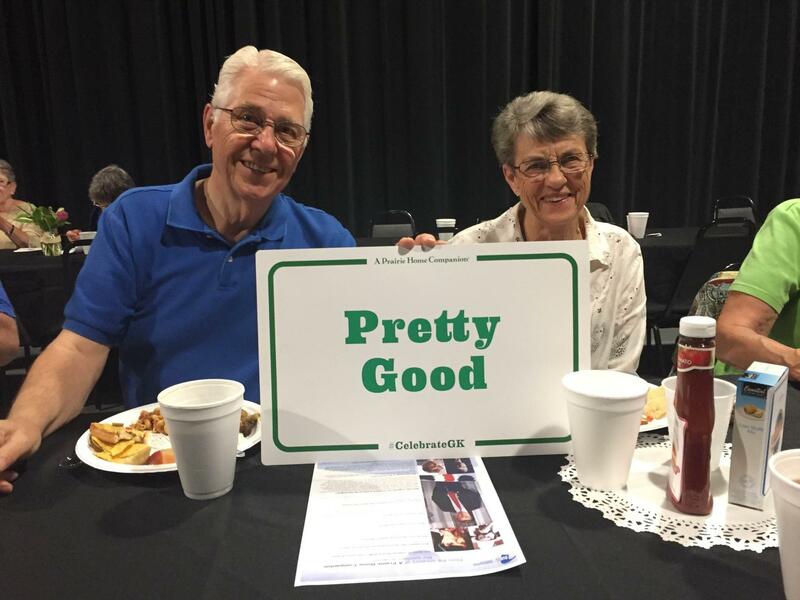 Prairie Public is Golden, a 30-minute television documentary about the history and people of Prairie Public, premiered in October. Prairie Public celebrated 50 years of service to the region with a Golden Gala on October 25 at the Ramada Plaza Suites in Fargo. More than 180 guests gather for the black tie dinner—a wine tasting, butlered appetizers, pre-dinner music from the Fargo-Moorhead Area Youth Symphonies’ Black River String Quartet, a champagne toast, a silent auction, and after dinner music from The Front Fenders. Clifford the Big Red Dog attends too! Hay Day: Musical Barns of North Dakota premiered in June. Native American Stories of Resilience, radio narratives about Native American culture, philosophy, and psychology premiered. 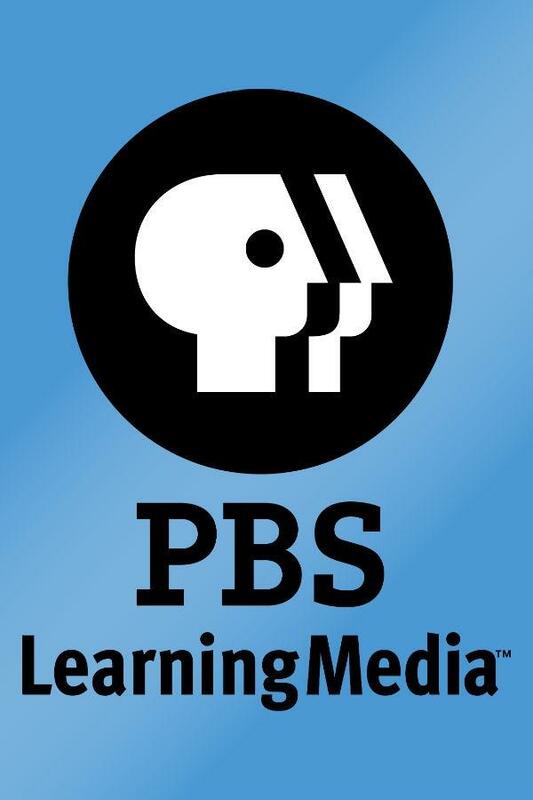 Prairie Public was awarded a $10,000 grant to produce programming to synergize with the public media reporting initiative Chasing the Dream: Poverty & Opportunity in America. 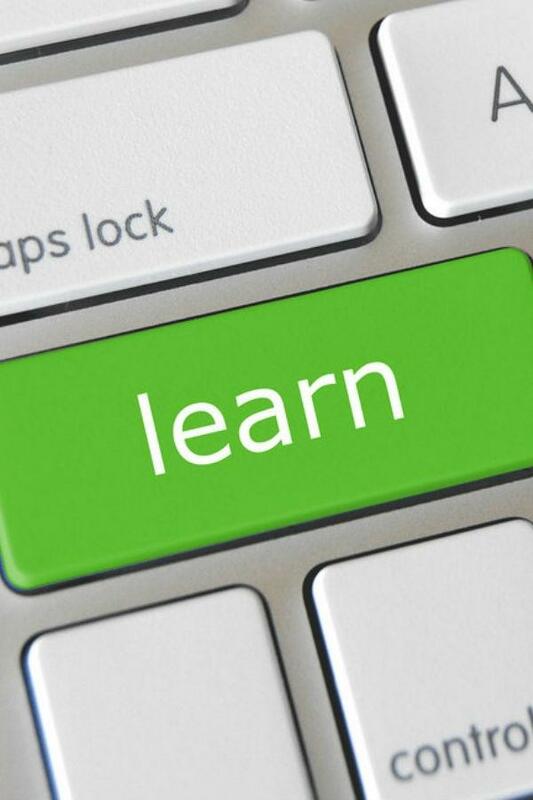 Funding is from the JPB Foundation and The Ford Foundation. Prairie Public aired a radio documentary by producers Diane Richard and Todd Melby titled We Don’t Talk Like That: Fargo and the Midwest Psyche, an investigation of the legacy of the movie “Fargo.” A discussion of the work, with the producers, was held at the Fargo Theatre in June. The North Central Council for School Television, the organization founded in 1963 to bring educational television to North Dakota, changes its name to The North Central Council for Educational Media Services (NCCEMS) to reflect its 21st-century resources. Gwen Ifill, an award-winning journalist, author, and the first African American woman to host a nationally televised U.S. public affairs program, died in November. At the time of her death, Ifill was co-anchor and co-managing editor, with Judy Woodruff, of PBS NewsHour. Prairie Public tried a new kind of fundraising: peer to peer. People were encouraged to ‘find their inner nerd’ and design a Nerd Challenge to raise funds to support Prairie Public. The project culminated with parties and ‘Nerd Walks’ in Bismarck on September 24 and in Fargo on September 23. Prairie Public began premiering television ‘shorts’ on social media. Clips of Gutes Essen: Good Eating in German Russian Country break all records for views, likes, and shares, and the new social media shorts increase Prairie Public’s facebook followers by 20%. Prairie Public invited Vietnam veterans, their families, people who served at home, and people who protested the war to share their stories for the Prairie Memories: The Vietnam War Years project. The stories were broadcast in an original television documentary, radio narratives, and a digital archive. A free public premiere of the Prairie Public documentary The Opioid Epidemic: Seeking Solutions in North Dakota was at the Fargo Theatre on October 10, co-hosted by Prairie Public, The Blue Cross Blue Shield of North Dakota Caring Foundation, and The Fargo Mayor’s Blue Ribbon Task Force. 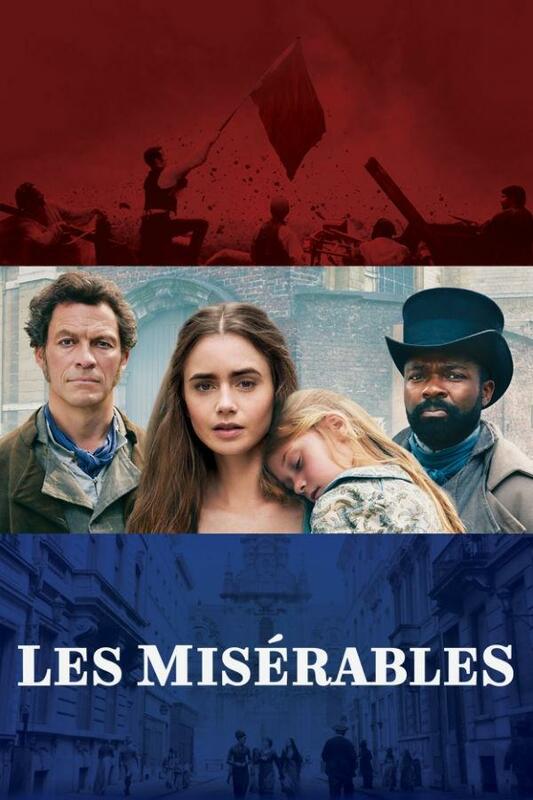 The documentary premiered on television on October 20. The monthly program guide, WAVES, was discontinued, with the last issue sent in January 2018. WAVES was replaced by a quarterly mailing, called Cue, and more online communications. Dakota Datebook, Natural North Dakota, Plains Folk, Main Street, Main Street Eats with Root Seller Sue, and Matt’s Movie Reviews became available as podcasts. 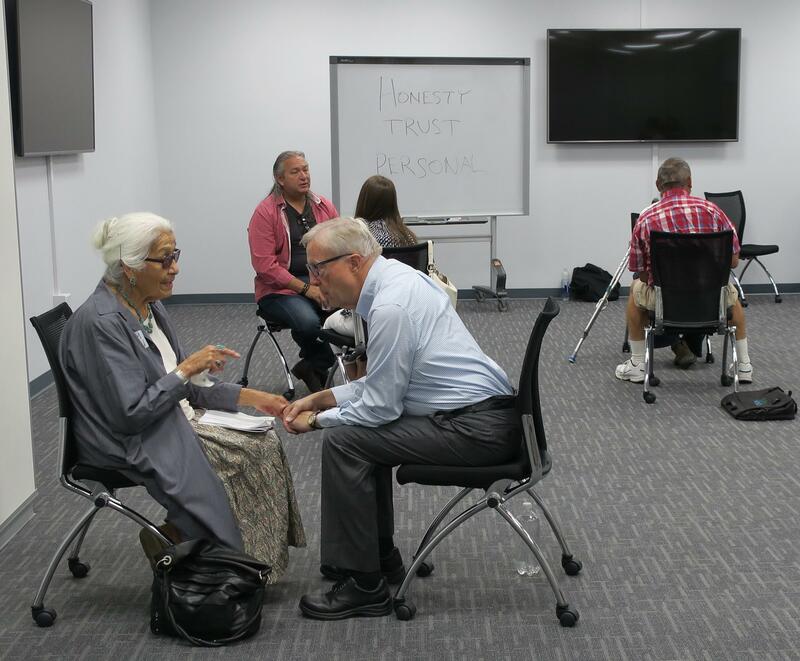 We hosted Ask A Native American August 11 at the North Dakota Heritage Center—a speed-dating type event that encourages people to have discussions with people outside their typical social circles. As part of Prairie Public's radio and television election coverage, PBS NewsHour producer and editor Judy Woodruff was the special guest at a meet and greet—as she was in Fargo to moderate the Heitkamp/Cramer senatorial debate. The debate was cancelled, however, as senators stayed in Washington to vote on the Supreme Court nominee. On September 10, television premiered The Rise and Fall of the Nonpartisan League, a three-part documentary, and The All-Stars of the Nonpartisan League. Radio was honored with 2018 Midwest Broadcast Journalist Association Eric Sevareid Awards for these stories: "Recorder Playing Orangutan" by Ashley Thornberg, "A Toxic Legacy" by Amy Sisk, and "Time Zone Bill" by Dave Thompson. Television won 2018 Telly Awards for these original productions: Malcolm Frager—American Pianist; Wet vs. Dry; Flowers of the Church: Minnesota’s Stained Glass Heritage; Built To Last: The Legacy of the CCC in Minnesota; and The Bell Creek Story: Co2 in Action. Libraries across the region participated with Prairie Public in PBS’s The Great American Read.